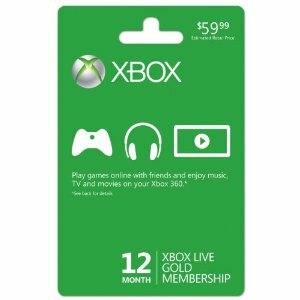 We’ve got the 12 month Xbox Live 12 month Membership for $39.99. That’s right Xbox 360 Live Deal is back! This normally auto renews at $60 so ensure you don’t let that happen and save yourself more than $20 on this Xbox Live deal. I really enjoy the Netflix streaming, gaming, and media center extender capabilities of my Xbox Live 360. Trust me you don’t just want the Xbox Live free trial. With this you’ll get the Xbox Live gold membership codes to get you going for the entire year! What do you use yours for?